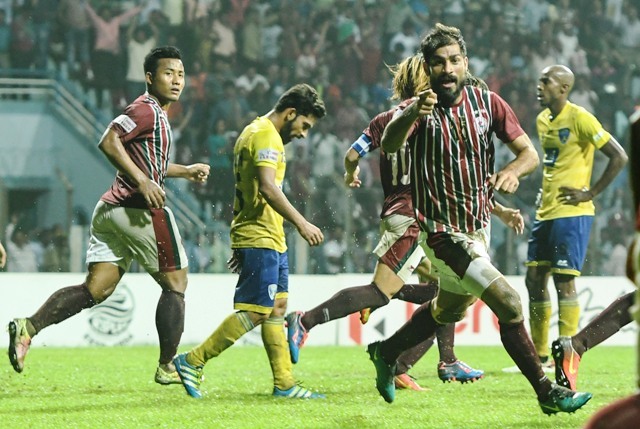 Balwant Singh's goal in the dying moments of the match saved Mohun Bagan from back to back defeat in Hero I-Leagu as they managed a 2-2 draw against Mumbai FC at Rabindra Sarobar Staium, Kolkata. Like Kingfisher East Bengal, who succumbed to Churchill Brothers 1-2 yesterday due to their defensive woes, Bagan saw themselves dogged by the same problem when slack defending erased their early lead through Pritam Kotal in the 12th-minute courtesy two strikes by Thoi Singh (20′) and Victorino Fernandes (22′) in the first half. Haitian forward Sony Norde once again carried the team on his broad shoulders by floating in a cross from the left inside channel which Balwant turned in at the far post with one minute of regulation time remaining on the clock. In the 12th minute, it was Norde’s corner which was first flicked on by Japanese playmaker Yusa Katsumi for Kotal to bulge the roof of the net with aplomb. Little did they or the home supporters know that their defensive frailties would come back to haunt them minutes later. First, Thoi made the most of Pratesh Shirodkar’s speculative attempt, putting finishing touches on the ball which looped over Debjit Mazumdar and into the back of the net. Two minutes later, Anas Edathodika and Eduardo Ferreira failed to get the better of fleet-footed winger Victorino as he turned in Clyde Fernandes’ cross. Trying to contain the lead, Mumbai coach Santosh Kashyap brought in Chinta Rao for Clyde in the 29th minute. Kashyap’s men could have had a third but Baljit scuffed Pratesh Shirodkar’s cross agonisingly over. Bagan were dented further when Debjit had to be stretchered off after colliding with Victorino as second choice keeper Shilton Paul replaced him. In first half added time, Shilton was called into action for the first time since coming on, saving well from Baljit’s close range effort. Sanjoy Sen, looking to alter the course of the match, threw in Prabir Das in place of Sehnaj Singh with Katsumi deployed in midfield along with Souvick Chakraborty. In the 53rd minute, Mumbai ringed in their second change with Victorino making way for Brazilian Anderson Silva who packed their midfield having Baljit as the lone man up front. There was drama post the hour mark when Kattimani collected a back pass from former India international Mehrajuddin Wadoo using his hands drawing an indirect free kick inside the area, but the Mariners failed to take advantage of it. Bagan were the dominant team in the second half and in the 89th minute they got their reward finally. Norde swept in a delicious cross for Balwant at the back post to nod in past Kattimani who was left stranded. The 30-year old Punjab lad celebrated as the home team heaved a collective sigh of relief. 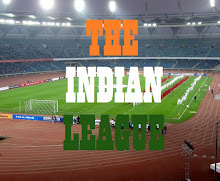 Incidentally, Mohun Bagan had to leave the pitch sharing the spoils with Mumbai FC in the first leg also. With the draw, Mohun Bagan firmly seat at the third spot with 22 points from 11 matches while Mumbai FC improve their ranking by one place to rise to the ninth spot with 10 points playing two matches more.